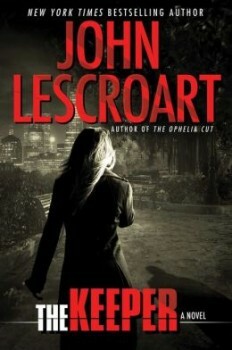 In THE KEEPER, the seventeenth and latest novel in Lescroart’s bestselling series, San Francisco politics and murder not only make for interesting bedfellows, it showcases the defense attorney and the lately retired police detective-turned-private investigator at the top of their respective games. In THE KEEPER, the mystery of a domestic murder is wrapped up in the enigma of law enforcement corruption and the conundrum of politicians looking to score points with voters. How did the idea for the plot for THE KEEPER come to you? Actually, this is one of those times when another novel sparked my imagination. Last year, like everybody else, I read and enjoyed GONE GIRL. By the time I got to the end, I was convinced that the “missing woman” story was one I hadn’t explored too often in my own work (only in THE HUNT CLUB), and that the basic plot idea—especially when the missing woman is married—begged for a different interpretation that I thought would be right up my alley. That’s how it began, but as soon as I started writing, I knew I would have to involve some official corruption and a political tie-in because these things grew holistically from the parameters of the story. The way the police detectives work the case against their chosen suspect—in this case, the victim Katie’s husband, Hal, with no real evidence against him—is enough to curl the toes of any citizen who naively assumes the job of their police force is to work hard to find and convict the right suspect. How did your research lead you in that direction? The idea that police often come to a case with a prejudice or predisposition is quite often a given among real cops. Most of the policemen I talk to in my research tend to believe that there are some eternal verities around crimes, among the most prevalent of which is that “the spouse did it.” This is a cliché because it is so often true. This book begins after the missing woman is gone for four days, when it is more or less automatically handed over from Missing Persons to Homicide, on the presumption that it probably is a homicide. Once the woman’s husband can’t account for his whereabouts at the time his wife disappeared, he becomes the prime suspect. This happens ninety-nine times out of a hundred in real life . . . and once the husband becomes that suspect, the scrutiny of everything about him doubles down, so that soon his becomes the only trail the cops see. In this murder case as with so many real ones, public opinion is driving the train as to when the suspect is arrested. How did you make it work for you? I almost always like to have a “public” element to my crime stories because a) this kind of stuff happens in real life quite frequently, and b) it adds a “universal” element that lifts the story from the mundane. We all seem to be fascinated by crime, and when crimes are reported in the media, we in some ways claim ownership. Politicians particularly are aware of these currents and it’s fun to watch them surf. Dismas’s pal—retired police detective Abe Glitsky—is front and center in this book, with the dilemma faced by many policemen who move from one side of the fence, active duty, to that of private practice. Why do you feel that this is many times the case? Cops have a specific outlook and skill-set that doesn’t necessarily translate seamlessly into other kinds of work. Street cop to kindergarten teacher, for example, is not a common trajectory. After the grind and the bureaucracy of regular police work—plus the lure of the pension—many retire, but still want to make money as well as be around the kind of work that they’re good at and enjoy. There’s also tremendous camaraderie among law enforcement types, and so there’s a lot of comfort in taking another job in security and in investigations. Discuss the emotional shift in the relationship between your hero, Dismas Hardy, and Wes Farrell, his former law partner who is currently the city’s district attorney, who is eager to make his name prosecuting this particular case. This is one of my favorite dynamics in this book. Wes Farrell is not your typical DA, with a rich background in prosecution. Instead, he’s lived his whole professional life as a defense attorney, which is really quite often hostile to the prosecution side. To play up these differences and add to the conflict, I loved moving Wes a couple of steps along the trail of becoming a prosecutor, where of course this leads him into some tricky moments with his old partner. The dichotomy of a murder suspect serving time in a jail in which he was once a prison guard is frightening—especially when the reader feels empathy toward him. What research did you do to create such a menacing situation? Fortunately, or maybe I should say unfortunately, real life provides lots of fodder for this particular plot point. The over-crowded and often poorly-administered jails and prisons, especially in California, have a long and well-documented history of abuse of prisoners, drug dealing, money laundering, suspect suicides, etc. None of this could happen without the collaboration of some guards and jailers. And this, of course, puts those miscreants in threatening positions themselves, where to be exposed could mean a prison sentence or worse. This is pretty darn strong motivation to keep tight control over the inmates with whom they’re in cahoots. If one of their own, someone who knows all the secrets (like Hal), then becomes an inmate himself, that person’s life is in jeopardy from the moment the cell door closes behind him. The victim Katie’s best friend, Patti, becomes an obvious suspect because, to quote Jessica Rabbit, she’s not bad, she’s just drawn that way. How hard was it to create a modern femme fatale who wasn’t also a caricature? Actually, the cool thing about Patti is that she’s really a good person. Look at what she actually does and—with perhaps the exception of her relationship with Hal—she’s a very sweet and loveable person. Okay, so she’s also stupidly beautiful and rich, which normally in fiction means she’s a bad person, but in actual fact she’s not. And I loved playing around with those inherent contradictions. Sheriff Burt Cushing is the corrupt law enforcement official the average person dreads, so one can only imagine how his prisoners feel about him. Is he based on anybody in particular? Let’s just say that there have been a couple of San Francisco Sheriffs who seemed to lend verisimilitude to this character. Dismas and Frannie, his wife, are now empty nesters. Hey, from what I remember, you’re sort of at that stage of life, too. What do you view as some of the challenges for aging a character gracefully on the page? What other traits do you share? What book are you working on next for your readers? “The body fell straight out of the sky.” That’s the first sentence. From there, things get tense for Hardy, his daughter Rebecca, Glitsky, Wes Farrell, and all the gang. 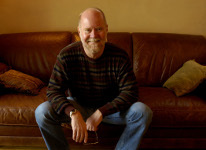 John Lescroart is the author of twenty-five novels, sixteen of which have been NY Times bestsellers. He lives in Northern California. To learn more, please visit his website. Josie Brown is the author of THE CANDIDATE, a political thriller. Her thirty-second and most recent novel is The Housewife Assassin’s Horrorscope (the eighteenth book in the series.) Find out more about Josie on her website.